Add butter to a bowl and mix with the Old El Paso™ Green Chiles and Old El Paso™ Taco Seasoning. Add salt and pepper to taste. Cut 12 squares of tin foil, big enough to wrap each ear of corn completely. 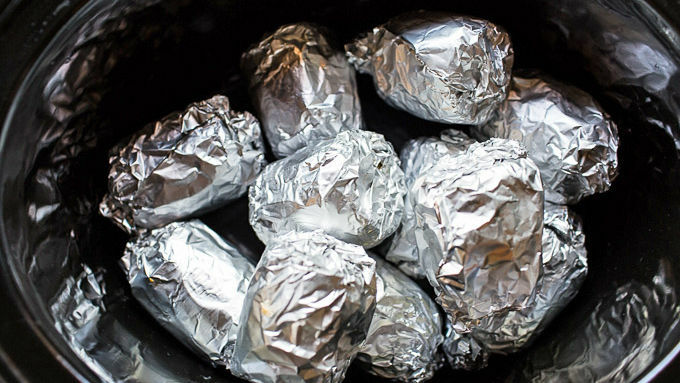 Place a piece of frozen corn on each square of tin foil. 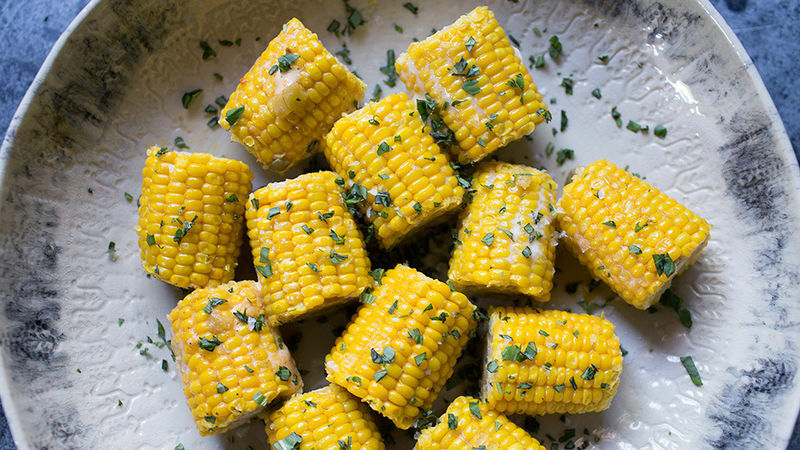 Spread a little flavored butter over each piece of corn. 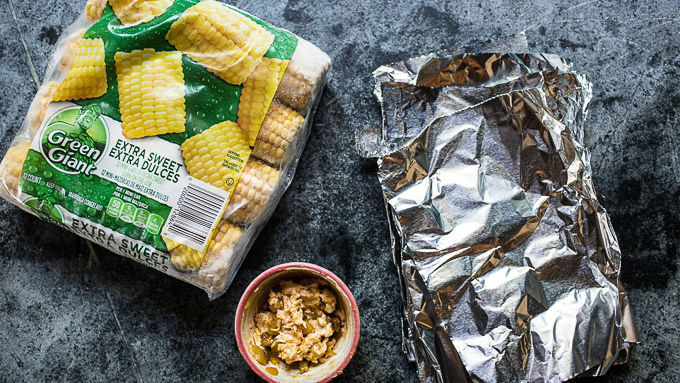 Wrap the pieces of corn up tightly in the foil and place in the bowl of your slow cooker. Turn the slow cooker to Low, cover and cook for 4-5 hours. Remove the foil and sprinkle with fresh cilantro. Enjoy warm! 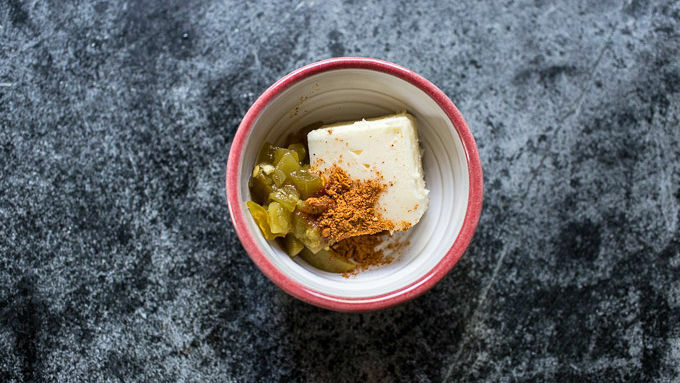 You can flavor butter in so many different ways—get creative and try a few different flavors! You can also use fresh corn. Just remove the husk first. 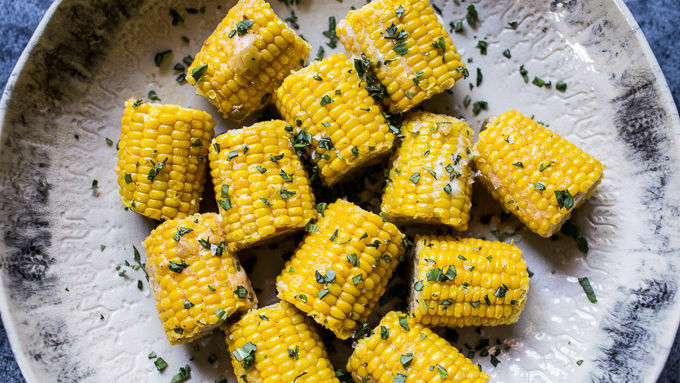 If there’s one thing summer has an abundance of, it’s corn. Okay, tomatoes, zucchini and herbs too. But personally, I don’t know a single soul who doesn’t love corn. In fact, it’s the ONLY vegetable my very picky, non-vegetable eating, 19 year-old brother will eat (pathetic, I know). Even younger kids all love corn! Clearly, corn is a favored veggie. Unfortunately, it can take up a lot of grill and oven space—and I’m always on the lookout for new ways to free up space during big summer cookouts. This is when the slow-cooker comes in handy. It‘s the perfect vessel for cooking my corn and having it ready in time for dinner. Yay! Making corn in the slow-cooker is honestly so simple and makes eating it later in the day so much easier… and in case you were wondering, yes, it is delicious too! Way better than boiled, and just as good as grilled.